So often in history, it is ideas that kill… What are the ideas that drive the Islamic State? How did it develop and systematise its unique form of apocalyptic violence? In this gripping account, Robert Manne shows how the Islamic State’s worldview evolved, from the 1960s prison writings of Sayyid Qutb all the way to its elegant online magazine of horror, Dabiq. This gripping So often in history, it is ideas that kill… What are the ideas that drive the Islamic State? How did it develop and systematise its unique form of apocalyptic violence? In this gripping account, Robert Manne shows how the Islamic State’s worldview evolved, from the 1960s prison writings of Sayyid Qutb all the way to its elegant online magazine of horror, Dabiq. This gripping account reveals the crucial role of texts such as The Management of Savagery, and figures such as al-Zarqawi, who set out to pit Sunni against Shi’a, tearing Iraq apart. Shortly after the fall of Mosul in June 2014, US General Michael Nagata said of the new jihadist threat: ‘We have not defeated the idea. We do not even understand the idea.’ By examining the beliefs and strategies at the heart of the Islamic State, Manne shows how a dark ideology came into being. 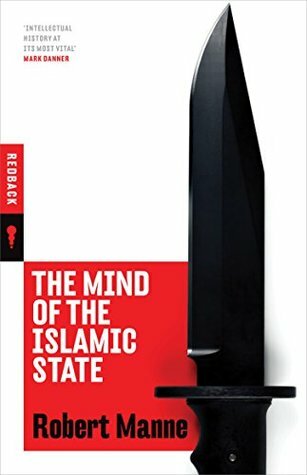 ‘If you want to understand how it all began, this is an essential read: a deep dive into how the ideologues behind salafi jihadism shaped the global menace that we now know as Islamic State.’ —Martin Chulov, Middle East correspondent for the Guardian ‘In The Mind of the Islamic State Robert Manne has given us a crystal clear guide to jihadist thought: why they do what they do and why they believe what they believe. Essential reading for anyone interested in terrorism and how it has evolved, this concise but thorough study takes one on a rich and fascinating journey of ideas, introducing a rogue's gallery of beguilingly dark characters. The Mind of the Islamic State is intellectual history at its most vital. The stakes could not be higher.’ —Mark Danner, author of Spiral: Trapped in the Forever War and Stripping Bare the Body Robert Manne is emeritus professor of politics at La Trobe University. His recent books include Making Trouble: Essays Against the New Complacency, and The Words that Made Australia (as co-editor). He has written three Quarterly Essays and is a regular contributor to the Monthly and the Guardian.